We got crafty with Yelp Cincy to help kick off the holidays! OUR ADORABLE TEAM AND OUR PAL CINCY CINDY! 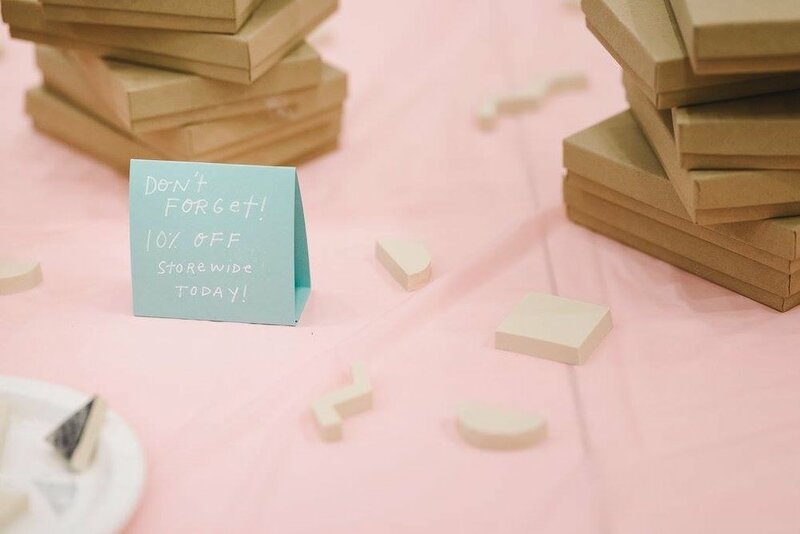 On November 14th, we teamed up with Yelp Cincy to host a gift wrap workshop at our shop in Covington, KY as a part of their Yelp's Cincy Made event series. To say we had a blast would be an understatement! It's such a great feeling to show everyone what we do best—make cute stuff! We were blown away by how creative everyone was. We wanted to bring everyone a way to add something a little personal and handmade to their holiday gift wrapping. 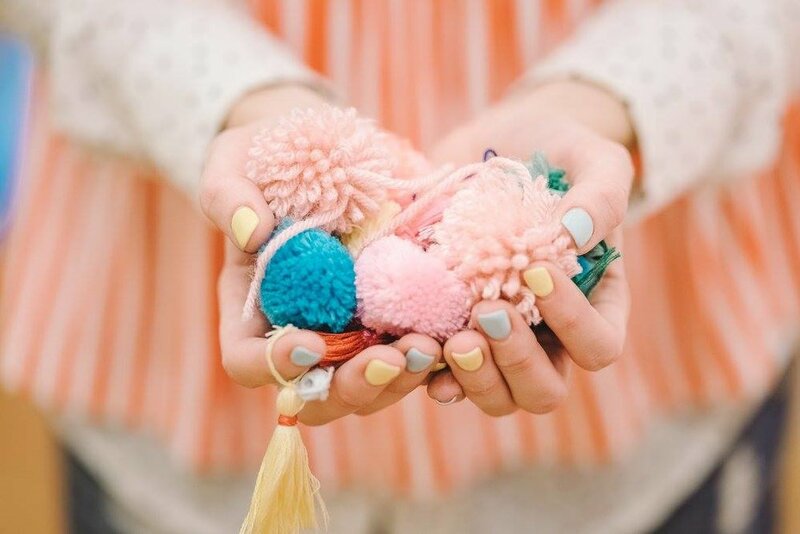 We picked out a color scheme and everyone got to make a hand-stamped gift box with fun shapes + three coordinating gift tags, which were decked out in colorful handmade tassels and pom poms. 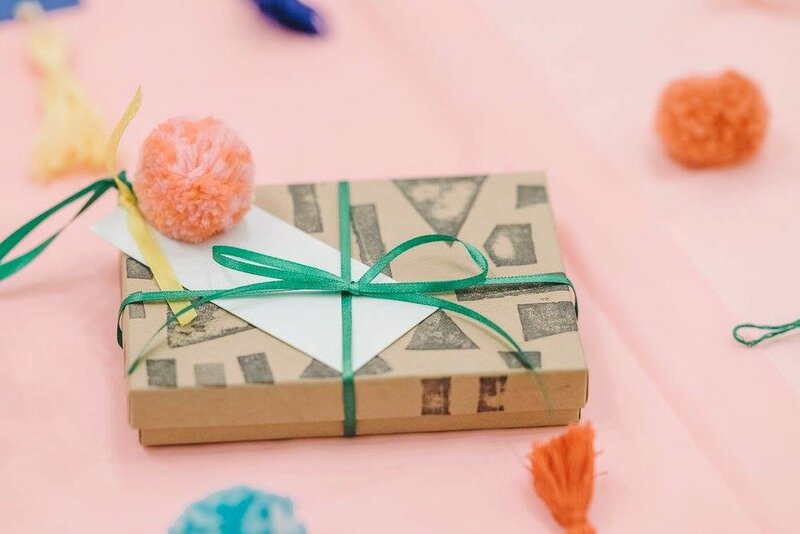 Every single gift box looked different, everyone had a really neat + creative take on it! For more Yelp events, click here.